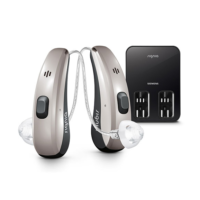 Siemens Signia Pure Primax At Hearing Choices - Save up to 40% On Hearing Aids! The Signia pure NX is the most popular hearing aid in the Signia range and is based on their excellent NX platform. 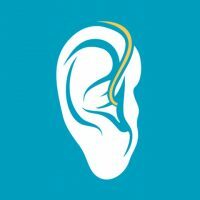 This great looking hearing aid is Made for iPhone which means it can stream binauraly (to both ears) both music and phone calls. The Pure NX can also be adjusted either via an optional remote or via a smartphone app. One of the major features of the NX platform is Signia’s OVP or own voice processing which means your own voice sounds much more natural compared to other hearing aids. The Pure NX comes in 3 battery sizes, from smallest to largest. 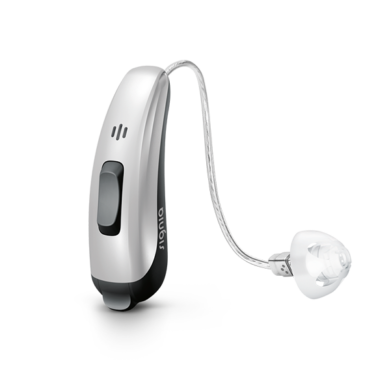 The Pure NX also comes in a variety of different technology levels, the higher up the technology the better the hearing aids will perform in complex listening environments and are suitable for more active lifestyles. 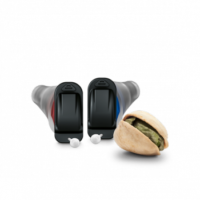 The Pure NX is suitable for a wide variety of hearing loss, lifestyles and budgets and is an excellent option if you’re in the market for a new pair of hearing aids.